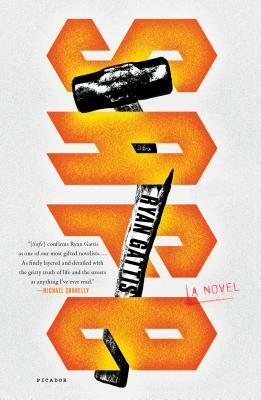 Two voices dominate this compulsive new book from Ryan Gattis (All Involved). At the center is Ghost, a junkie turned master safe-cracker, and his quest to play ghetto robin hood as the fiscal crisis of 2008 spirals out of control in Southern California. On the other side is Glasses, a gang enforcer with problems of his own. As Ghost robs safe houses and Glasses hunts him down, the line between good and evil blurs and blurs. Gattis writes with great humor and sympathy. This book is a dark, vivid tale of crime and redemption. "Ryan Gattis has already established himself as one of the most penetrating and clear-eyed commentators on contemporary Los Angeles . . . Safe is an intense and gripping novel."